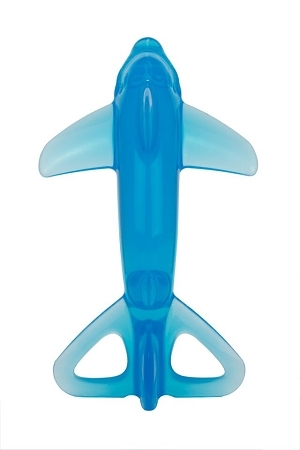 This Sharky makes a great teething/learner toothbrush for your baby! 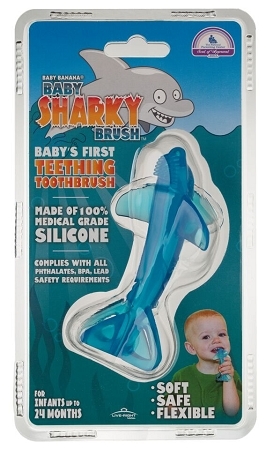 Your baby will love this new Banana Baby Sharky Brush! 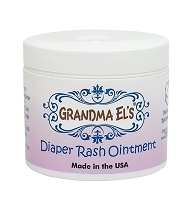 Great, unique baby shower gift! 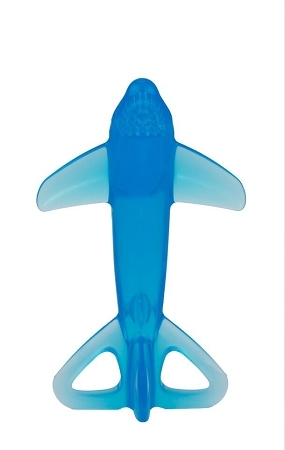 This sharky brush is made from 100% medial grade solid silicon. Itâ€™s super bendable and includes both an infant teether and training toothbrush in one. The recommended age use is infant all the way to two years old. The Shaky Brush is soft and safe for baby, easy to grab and helps promote early good oral hygiene habits! The open loops in the tail fine are great for attaching to pacifier clips (not included). 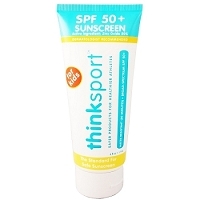 Please note the following: CPSIA tested for phthalates and lead â€“ all safety requirements met, FDA registered 300-6124900. Also, this brush is safe for the dishwasher and freezer for sanitizing. We hope you love your Sharky!